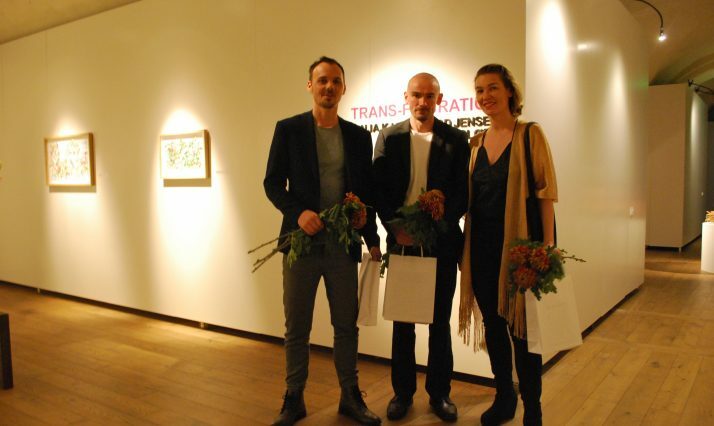 Exhibition “Trans – Figuration” can be seen at the Daugavpils Mark Rothko Art Centre (3 Mihaila Street) from 16th November, 2017 to 14th January, 2018. Today the sharp distinction between figurative and abstract art has become blurred and replaced by many artistic strategies in which the two modes of expression are united to create new and unexpected interpretations of our volatile and infinite world. The figure, which has long been denied access to the artistic realm, thus resurfaces, but in a new context and with new challenges. Two Danish artists, Ole Tersløse and Henrik Godsk have created surprising new works within this intersection by establishing an artist group which has been named TRANS-FIGURATION, because the figure performs in an artistic realm that is characterized by unpredictable, directly chaotic transformations and many transitions between illusion and reality, which appear both in the artworld and in society itself. The four artists, who have already exhibited their works in museums and galleries, have always explored the creation of images in the boundaries between abstraction and figuration and between form and colour in a visually convincing way. In their works we also find a visualisation of a clear break with all rational and outdated ways of thinking and a new openings to the realm of emotions and imagination. And in their pictorial universe there is always an impressive concept of art as a process of change and an interplay between tradition and innovation, which provides us with a broader and more multifaceted experience to those we encounter in our daily lives. 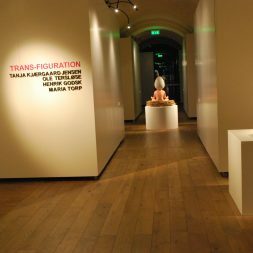 The works by the four Danish artists contain, in their respective ways, both a contrast to and a visual dialogue with the paintings by Rothko, which are part of The Mark Rothko Art Centre’s permanent collection. Rothko experimented with figurative art for many years, but – in contrast to these four artists – he finally settled on what he called “colour-field painting”, because he felt it could communicate directly with the viewer in the most immediate way. However, although the language of form in the figurative art and in the colour-field paintings are different, they still express – in their respective ways – what Rothko referred to as “basic human emotions” such as “tragedy, ecstasy and doom”. He was even convinced that art could expand our worldview. These lofty goals are precisely what create an artistic bridge between Rothko’s works and those of the four Danish artists. Henrik Godsk’s powerful images contain tightly composed interiors and female figures, which are constructed from simplified forms. Both their abstract qualities and their individual distinctiveness are revealed in a discreet way. The tension between the figure, the space and the colour surface creates a new expressiveness and an intense presence, which appeals powerfully to the viewer’s emotions and imagination. When encountering his paintings, one is reminded of Paul Klee’s emphasis on colour as a creative force. He described colour as “the place where our brains and the universe meet”. When one encounters Ole Terløse’s works they appear at first glance to be photographs of everyday situations. But one quickly becomes aware that they are characterised by an almost painful intensity. This is because he has created every single element from scratch with 3D computer software to establish a convincing illusion. When one studies the images and the freestanding sculpture more closely, one discovers that the mysterious figures from the world of dreams, the ancient myths and other planets have invaded the scenes of our daily lives and challenged our preconceived perceptions of reality. Ole Tersløse has thereby – as a Nobel prize winner in chemistry once expressed it in The End of Certainty (1996) – sharpened our understanding that “uncertainty is an inherent cosmic expression, deeply embedded within the core of reality”. A similar worldview characterizes the works of Maria Torp, who only seems to depict individual people and small interiors from the surrounding reality. The space around them is characterized by smooth transitions between illusion and reality, and the figures have an almost surreal depth of field. They visualize an understanding that our world is indeterminate and therefore open to new interpretations in the known world. All the works are based on photographs, which are later converted into oil paintings and thus obtain a peculiar material intensity. Tanja Kjær Jensen’s collages are – as she puts it – linked to “reality while posing questions about pictorial representation”. She has found an original way of composing her collages. The many birds that often sit on a branch protrude almost relief-like from the picture surface and create a distinctive depth. All the birds, which are depicted figuratively, are created by colourful materials with different abstract patterns. This creates an impressive interplay between abstraction and figuration. The impressive and surprising works by these four artists take us to the threshold of a vision, which is capable of transcending the present condition, drawing on unpredictable experiences from the artistic realm, which enable us to think and create in new and surprising ways.